Looking for more tips on how to shop in Paris like a local? Be sure to get our 2019 INSIDR Paris Shopping Guide! A lot of people wonder what to bring home from France after their trip. In our opinion, when visiting Paris, don’t rely on tourist shops for souvenirs to bring back home. Food is probably the best export France has given the world! 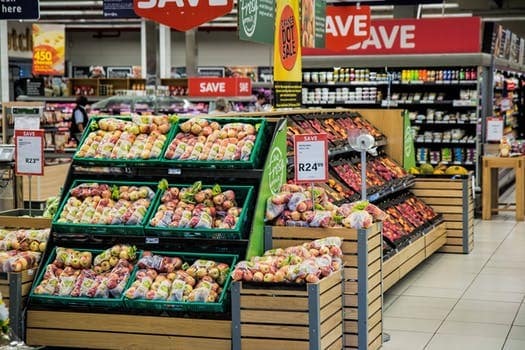 All you need to do is to pop into a supermarket nearest your accommodation and follow this guide to the best French souvenirs from the supermarket! These souvenirs are not only authentic, they are also affordable! What could be better than that?! The southern region of France is famous for their production of olives. Tapenade is one of the most delicious forms of their plentiful olive production! The blend of black olives with extra-virgin olive oil, garlic, and chili powder creates an extremely rich flavor. In addition to the savory and salty flavors, the South of France also produces a sweet olive spread with vanilla and sugar based ingredients. This olive spread is perfect to be smeared on a baguette while enjoying apéro, while on vacation in France or even back at home to remember your trip by! You can find it in almost all supermarkets in Paris at a very affordable price – only about 1.80€! LU is a French biscuit brand that has existed since 1846. It is a staple cookie in French homes and you should not miss out on them (especially their speculoos ones!). LU offers a range of cookies from traditional butter biscuits, chocolate biscuits (Prince and Petit Écolier), to various flavored soft cakes. Whichever your favorite may be, these French biscuits make an incredibly delicious and cheap French souvenir to bring back home. Maybe this brand is not foreign to you, but it is definitely a traditional French brand that can be found in all supermarkets. They offer a variety of jam variants, in addition to brownies, apple pies and other sweet cakes that probably do not exist in your home country. And to top it all off, the packaging even looks like a traditional French red plaid dinner tablecloth! Drinking tea at night is a habit of many French people, so why not try it yourself to relieve stress after working all day and improve the quality of your nights sleep? You can even select your favorite tea flavor, mint, fennel, blackcurrant, vanilla, or chamomile. One box contains 25 tea bags and are sold in supermarkets at a price of about 2.30€/box. In addition to Elephant Tea, another original brand of French tea suitable for a great French souvenir is Kusmi Tea. Kusmi Tea’s packaging is very sleek, clean and suitable for a gift to give to friends back home. Their tea flavors also vary, ranging from classics like earl gray and jasmine to blends. If you do not have time to go to the Kusmi Tea boutique, you can easily find Kusmi Tea in various supermarkets in Paris. Savon de Marseille is a typical bar of soap from Marseille in the South of France. The bars are very hard and made from natural oils, such as olive oil, coconut oil and almond oil. But you don’t need to go all the way to Marseille! You can find this soap at almost every supermarket in Paris. Le Petit Marseillais has plenty of soap varieties at affordable prices. In addition, they also have liquid soaps, shampoos, body oils etc. The price is only about 1.70€/product.